Background: Chagas’ disease is caused by infection with the protozoan agent Trypanosoma cruzi. An estimated sixteen to eighteen million people are infected in Latin America. Outside of endemic regions, Chagas’ disease may be transmitted through the transfusion of infected blood components, congenital infection and organ transplantation. We sought to determine the sero-prevalence of antibodies to T. cruzi in a community sample of Latin American refugees and immigrants to Canada. Methods: This was a sero-prevalence study in Latin American refugees and immigrants living in Canada. Eligible subjects were born in South America, Central America or in Mexico. Participants were recruited from a variety of community settings, as well as from medical clinics. Serum was tested by enzyme-linked immunoassay for antibodies to T. cruzi. Results: A total of 102 participants were enrolled. One sample tested positive for antibodies for T. cruzi. The seroprevalence in our sample was 1.0% (95% CI: 0.2%- 5.3%). Interpretation: We found a low sero-prevalence of Chagas’ disease in a community sample of Latin American immigrants and refugees. 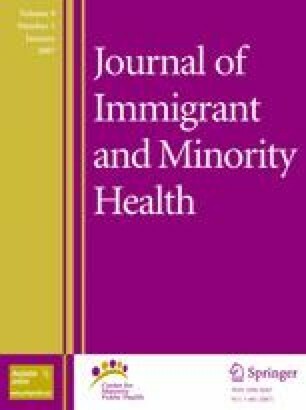 Physicians who treat Latin American immigrants should consider the risk profile and clinical status of the individual in their decision to screen for Chagas’ disease. Special thanks to Wendy MacQueen, Regional Parasitology Laboratory, Hamilton Regional Laboratory Medicine Program (St. Joseph’s site), Hamilton, Ontario who did all of the serological testing for this study. The study received funding from Health Canada. Dr. Steele is supported by a career scientist award from the Ontario Ministry of Health and Long Term Care and she is supported as a research scholar by the Department of Family and Community Medicine at the University of Toronto.